I think I read this book when it first came out. I remember reading it and thinking to myself, a junior high student, that no book in the world could compare to it. The writing was fun, the images were memorable, and the story had all the elements you wanted - good characters and a satisfying ending. I'd often think about the images and to this day, many of those stayed with me. I'm particularly thinking about the hair ironing, the glow in the dark solar system, moon pools of green with golden specks, as well as the line "held me like glass." These were images that just stuck.I started thinking about this book again recently. I couldn't remember the name, except I could remember the image of the red haired angel and I could remember the feeling I had checking it out again and again from the library, knowing no other young adult book would compare. I Googled the memorable things and found the book again. And read it again. In an hour.And I wasn't disappointed.The book is still as good now as it was 13 years ago. The images are still as vivid, the characters still as well-done and the story still as satisfying. As I've gathered more experience in my life, I think I may appreciate the storymorenow than I did then. I don't think there is a book that makes me feel as tingly as this one. Perhaps I had a Roxanne in my life and I often felt like the Jesse - hanging on to something I just had no control over. There's something slightly magical to the book, though it is nothing mystical nor does it depend on magical elements. Each of the characters is dynamic, but not just because Moore wrote it that way; the characters are so dynamic because Jesse discovers that people are much more than what they appear on the outside and much more than they act in one day. And she discovers that about herself, too. Great read both as a young reader and now as an adult. I'm still going to carry these images, and I still believe few books can compare in terms of the impressions with which it left me. I got this off staff picks at the library and really liked it. Somehow, I got a copy signed. I want to think that my aunt knew the author. It was given to me when it was still a new book. I really loved the story. A quirky story of age-mismatched friendship in a small town. It was a good book. Very boring description of the book. loved this book . Coming of age, teen book! 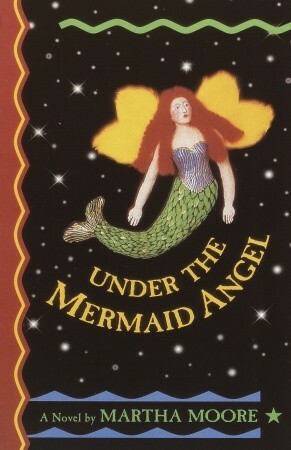 One of the best children's novels ever, every little girl should read this. This is a children's book. For some reason, it has never left me.